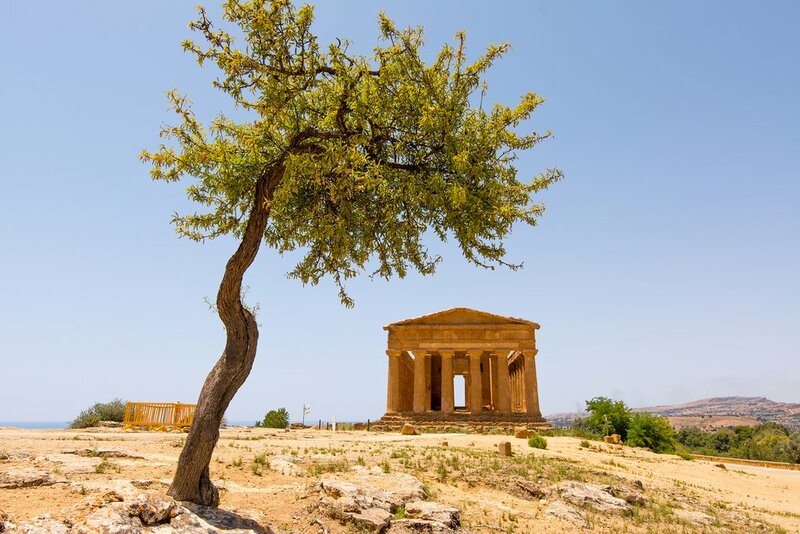 This 7-day tour along the southeastern coast of Sicily features impressive archaeological sites, including the Neapolis Archaeological Park in Syracuse and the Valley of the Temples in Agrigento. 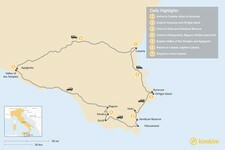 It's an incredibly scenic drive, with golden beaches and vineyards, plus overnight stays in ancient, seaside towns. If archaeological sights are a priority for you, this slice of Sicily might be your best option. This itinerary will lead you to the island's oldest and most magnificent ruins and places of historic interest. The area is also home to cultural and natural wonders. Customize this itinerary as you see fit. Arrive in Catania, rent a car and drive south along the east coast to Syracuse (or Siracusa in Italian). If you arrive early enough in the day, stop at vista points, historic villages, and beaches. The drive will take about two hours. Check into your hotel in the evening and enjoy dinner out on the town. Syracuse is used to tourists and easy to navigate. If possible, stay in the heart of the city in Ortigia Island. Grab a quick breakfast in any of the nearby cafés before contracting a local guide to take you on a tour of the Neapolis Archaeological Park, a top destination for any lover of the ancient world. The major highlight is the Teatro Greco, a massive amphitheater built in the 5th century BC. 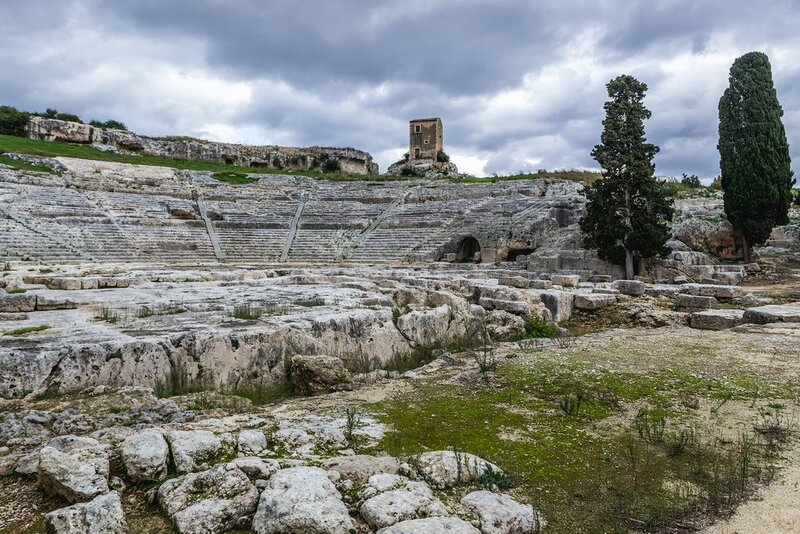 Classic plays were performed here in ancient times with seating for 16,000 people and it still comes alive each spring for theatrical reenactments. After lunch, take a walking tour of Ortigia Island. Syracuse was once the largest city in the ancient world and this island was its cultural epicenter. 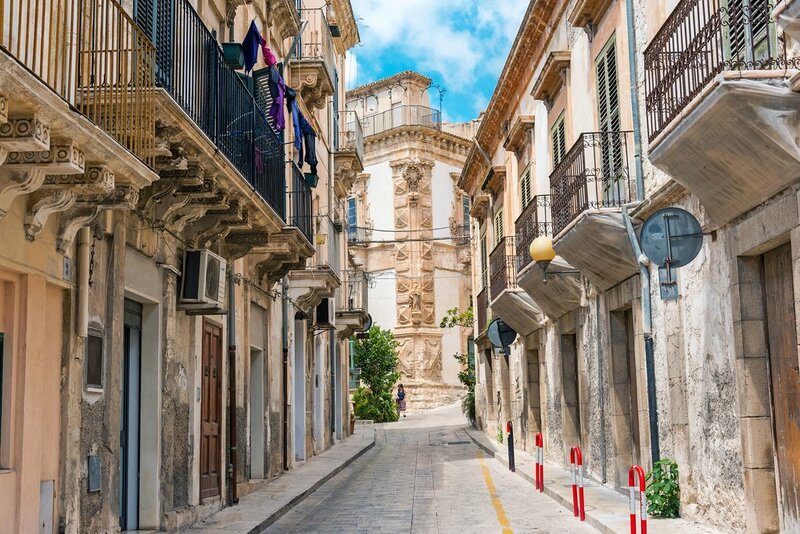 Known as the "white pearl of Syracuse," Ortigia is known for flower-covered balconies and walkable streets. Be sure to visit the turquoise harbor, perfect for swimming or watching boats come and go. Take your time exploring the area before turning in for the night. Start your morning with a drive to the town of Noto, only about 40 minutes south along the coast from Syracuse. If you take your time getting there and explore the scenery, it can easily take up a good portion of your day. Stop in the Vendicari Reserve, a park known for its white-sand beaches and dramatic coastal rock formations. Calamosche beach is a popular place to stop here. 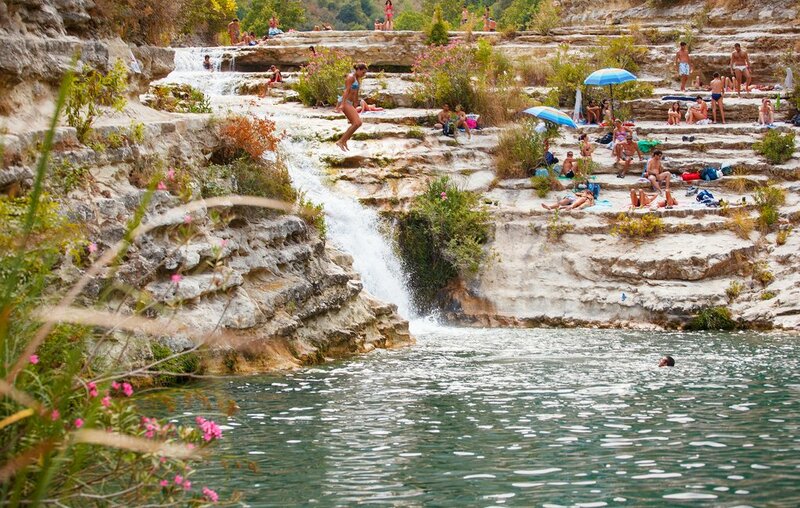 If the weather is fair, jump into the sparkling waters of the Mediterranean Sea. The Marine Protected Area of Plemmirio also features stunning coastal scenery. It's a stunning place for a walk. The waters offshore contain sea urchins, mussels, and "riule," what the locals call the brightly colored fish that swim here. A few shipwrecks are also located in these waters. In the afternoon, continue on to the lovely town of Noto, a golden city of stunning Baroque architecture perched above the ocean. It's a popular place for wine tasting and touring cathedrals. The spend the day in the city and overnight in a cozy local hotel. 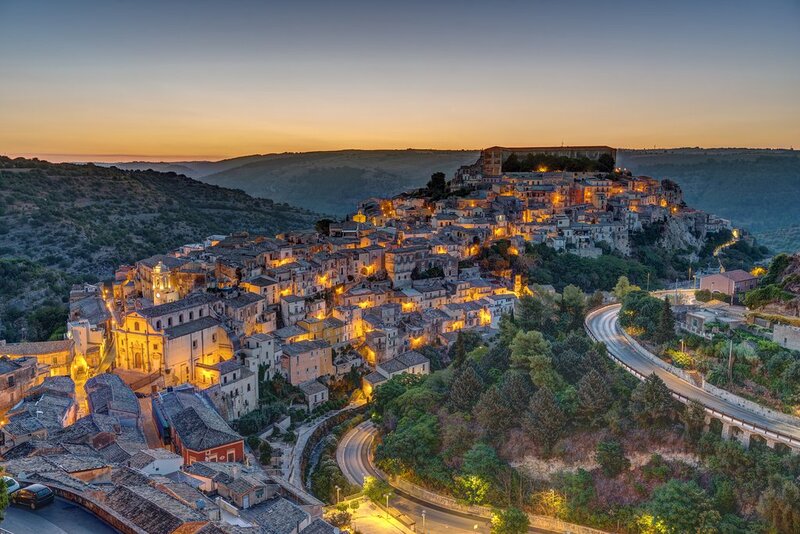 From Noto, continue on to other notable Baroque cities in this region, including the UNESCO World Heritage sites: Marzamemi, Ragusa, Modica, and Scicli. You'll find that time has stood still in many ways as you spend the day touring these enchanting towns. Ragusa is notable for its easy-to-walk streets, its many churches, and its two distinct districts: Ragusa and Ragusa Ibla. Ragusa Ibla is the older and more noteworthy of the two areas. Modica is a similarly beautiful city with walkable alleys. You can't leave this city without trying the chocolate, which is inspired by an ancient Aztec recipe that has been used in this historic town for centuries. Another architectural highlight to see here is the Castello dei Conti (Castle of the Counts). Scicli is another prime example of the Sicilian Baroque style of architecture. Its town center is set against limestone hills, which nicely complement the honey-colored churches and buildings. 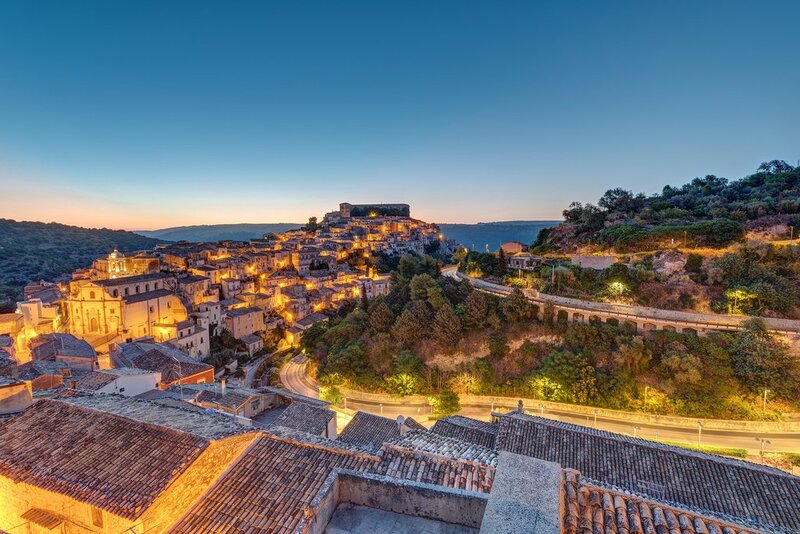 Ragusa and Modica are both excellent places to lay your head for the night, but Modica puts you closer to your next day's destination. 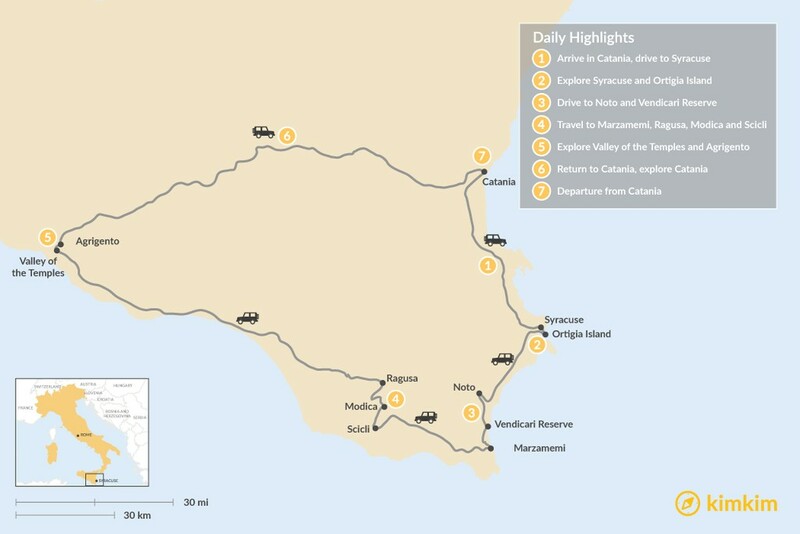 Head west on Day 5 to reach one of the most notable sites in Sicily, the Valley of the Temples in Agrigento. Get an early start because it will take a little over two hours to get there. The Valley of the Temples is well-worth the drive. It's the site of an ancient city by the name of Akragas, and features a staggering amount of well-preserved temples. Noteworthy temples to look for are the Temple of Concordia and the Temple of Hera. A local, English-speaking guide can take you through the site. Once you have your fill of temples, head into the town of Agrigento for the evening. Travel past the convergence of travel and industry that marks the outskirts of the city and into its medieval center. The best place to spend your afternoon is the Via Atenea, an attractive strip of cafés, shops, and bars. Catania features several notable historic sights, such as the cathedral in the background of this cityscape. Return to Catania via a two-hour inland drive. Enjoy the countryside scenery before you return to the city. Upon arrival, check into your hotel and take a guided tour. 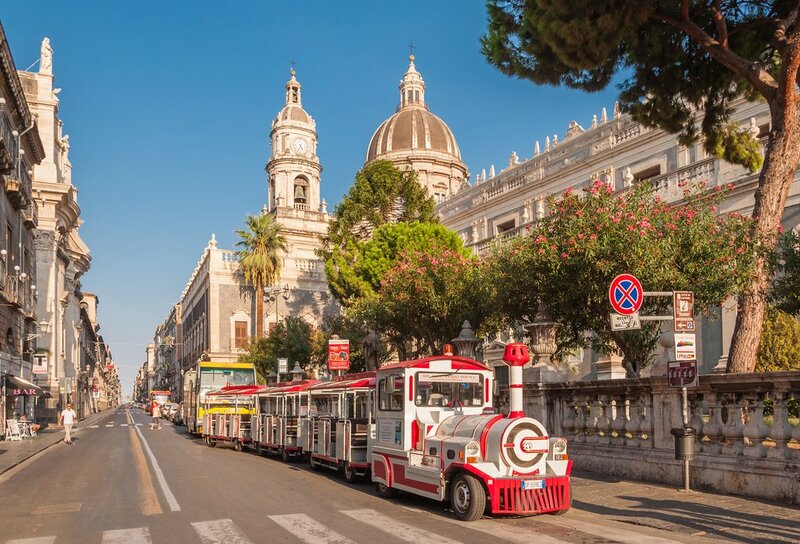 A local guide can point out some of Catania's historic Baroque-style cathedrals and take you to busy plazas and shopping areas. If time allows, you can also take a cooking class or enjoy free time. In the evening, enjoy a fine meal of Sicilian cuisine and take full advantage of your last night in Sicily. 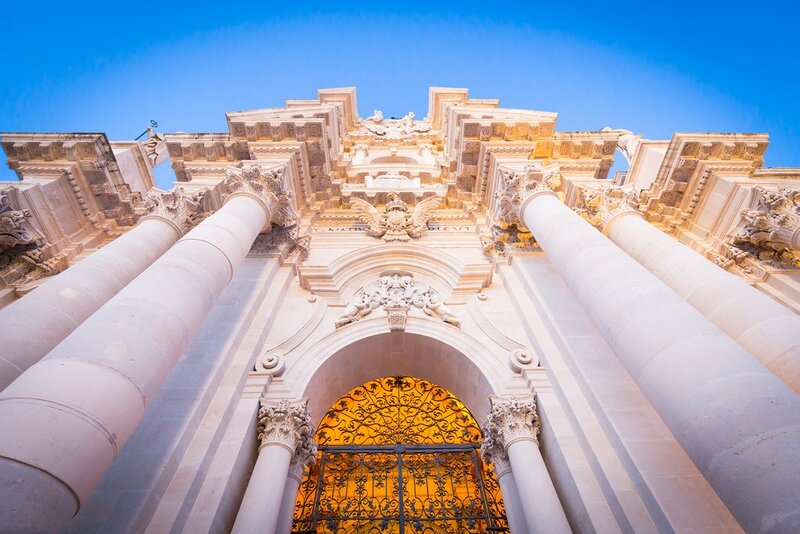 Ragusa Ibla is a prime example of the Sicilian Baroque style you will see during much of this trip. Enjoy breakfast in Catania before packing up and departing for the airport. How many days do you need in Sicily? How Many Days Should You Spend in Italy?